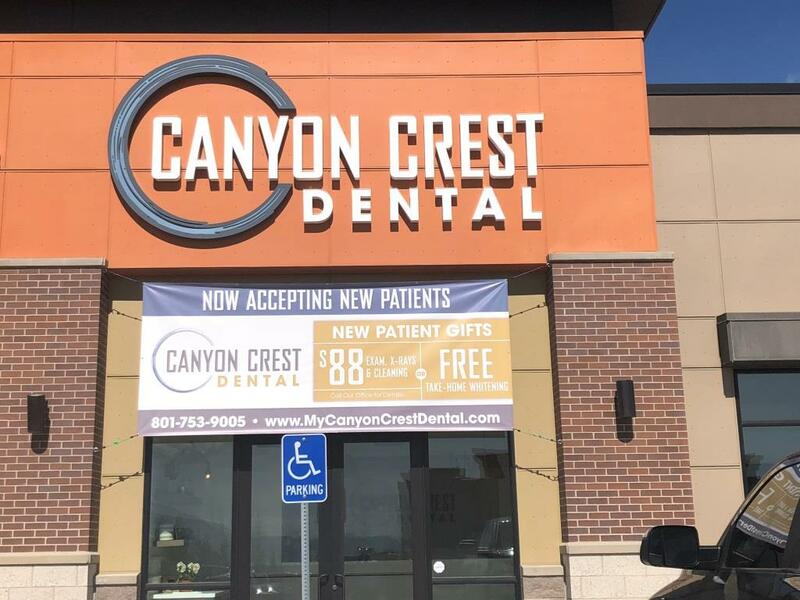 Our team at Canyon Crest Dental in Lehi, Utah looks forward to welcoming you into our dental family. If you’re ready to make an appointment, or even if you just have a question or feedback for us, feel free to send us an email using our online contact form. Someone will get back to you as soon as possible. You can also call our office at 801-753-9005. If you have a dental emergency, like a sudden toothache, a lost filling, or a knocked-out tooth, call our office as soon as you can. We set aside time in our schedule to see patients with emergencies so you won’t have to wait around in pain. If you’re located in the downtown area, we are only a 9 minute drive in a beautiful area that has an outlet mall and some good, family friendly restaurants . Here are directions to our Lehi dental office.